VF Corp.’s marketing muscle is providing big gains in its Vans and The North Face divisions, with sales up strongly in all regions. But results at Timberland are mostly flat, while sales of both Lee and Wrangler fell. VF’s revenues rose 8% to $3.9 billion in the third quarter of its fiscal year. Net income rose to $463.5 million, from a loss of $90.2 million in the comparable period a year ago. Results were so strong that the company, which has been reshaping its portfolio and divesting brands like Nautica, raised its forecasts for the full fiscal year. It says it now expects sales to gain 12%, for a total of at least $13.8 billion. Sales in its active segment jumped 16%, fueled by a 25% spike in Vans’ sales. Outdoor segment sales climbed 11%, including a 14% advance at The North Face. And overall, the Greensboro, N.C.-based company says digital sales improved by 24%. The one downbeat note is in its jeans business, which VF now expects to decline 3%. Vans’ gains are especially impressive. “Most importantly, the company guided Vans to double-digit growth while mentioning that the Slip-on is now the fastest growing icon while Old Skool momentum continues,” writes analyst Paul Trussell, who follows VF for Deutsche Bank, in his report on the results. He says that show of confidence is especially encouraging given shifting fashion trends and increased competition. Still, Trussell continues to rate the stock as a hold, based on concerns about Timberland and the jeans business. Vans sales gained 28% in the Americas, thanks to strong holiday spending and growth in its Family Loyalty program, which now includes 5.8 million members. 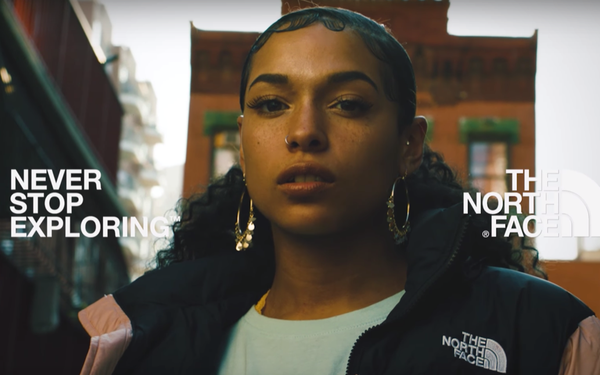 And The North Face, which has struggled in the U.S., saw sales pop 15% in the Americas, powered by the strong appeal of both its mountain sports and urban explorations lines.